Great Smoky Mountains National Park fire management officials plan to conduct a series of controlled burns in Cades Cove. Weather permitting, burn operations could begin Monday, November 4, and may continue intermittently through mid-November. Managers plan to burn several fields totaling approximately 400 acres. The selected fields will be burned as part of a cost-effective strategy to prevent the open fields from being reclaimed by forest. These seasonal, controlled burns help perpetuate native herbaceous species that provide high quality cover and foraging opportunities for a diversity of wildlife including deer, turkeys, and ground nesting birds. “By conducting controlled burns, we are able to maintain the openness of the cove to preserve and maintain its historic character while also reducing non-native species,” said Fire Management Specialist Dave Loveland. The Park contracts to mow about 1,000 acres of fields that are clearly visible from the Cades Cove Loop Road annually. Other fields that are less visible from the loop road, totaling around 1,500 acres, are kept open by burning or mowing on a three year rotation. The loop road and historic structures will remain open to visitor use, but brief delays and temporary closures of side roads and trails may occur to ensure public safety during burn operations. Park staff will be present to answer questions during operations at overlooks and parking areas. Visitors should expect to see fire activity and smoke during controlled burn operations. Fire managers ask that motorists reduce speed in work zones, but refrain from stopping in the roadways. If smoke is present, roll your windows up and turn on your headlights. For more information on the use of prescribed burns in Great Smoky Mountains National Park, click here. 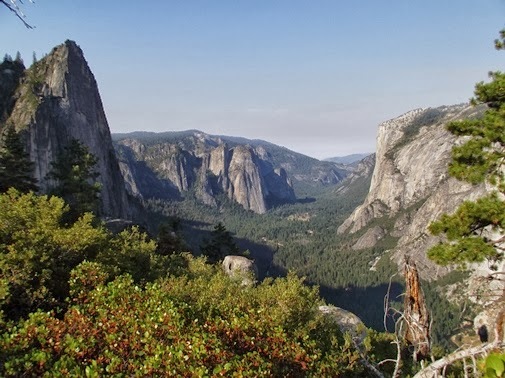 Did you know that you can do one hike that encompasses nearly all of Yosemite’s iconic sights? This epic 12.6-mile hike includes a full view of Yosemite Falls from the only place in the park to see both the upper and lower falls in their full glory. You’ll also see El Capitan, Half Dome, Illilouette Fall and Nevada Fall. The hike tops out at Glacier Point, the spot first made famous by the photo of John Muir and President Theodore Roosevelt standing together with the Yosemite Valley in the background. The hike also finishes with a trip down the famous Mist Trail where you’ll pass over Vernal Fall. This epic one-way hike begins with a climb up the Four Mile Trail, and then travels back to the valley via the Panorama Trail, and is a must bucket-list item for every hiker. Don’t worry about sending a gift of platinum or china, you can celebrate Friends of the Smokies’ 20th Anniversary by putting a Friends specialty license plate on your vehicle. Each year, when you purchase or renew your Friends of the Smokies specialty plate, $31 of the $35 fee goes toward supporting Great Smoky Mountains National Park (GSMNP). The State of Tennessee has just released third quarter contributions with $114,012 donated to Friends of the Smokies from specialty plate sales. Third quarter sales are the highest of this year, bringing total specialty plate income to over $388,000 in 2013. These contributions will help fund programs throughout the national park like managing bears, supporting the hemlock preservation, and educating schoolchildren. “Our East Tennessee communities were greatly impacted during the government shutdown, and GSMNP was not exempt from the strain. With the peak of fall leaf color, October is the Smokies’ busiest month. It goes without saying that contributions from specialty license plate sales matter now more than ever to help the Park recover from this difficult time, “ explains Friends of the Smokies President Jim Hart. To help support GSMNP, you can purchase a Friends of the Smokies specialty license plate now, even if your current plate is not expired. Go to your Tennessee County Clerk’s office or click here. If you already have a Friends specialty plate, please continue to renew your registration. For more information, please visit www.FriendsOfTheSmokies.org or contact Jim Hart at Friends of the Smokies, 865-932-4794. 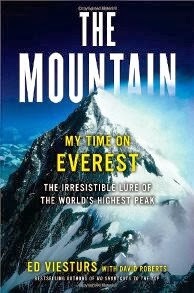 You could say there are two books in The Mountain: My Time on Everest. There’s chapter one, and then the rest of the book. I have to say that I really struggled with the first chapter of The Mountain for some reason. To me it seemed unfocused and lacked flow. Author and world-class climber Ed Viesturs kept interrupting the narrative of the story of his first climb on Mt. Everest with anecdotes from other climbs and climbers, and from my standpoint, completely disrupted the flow of the read. I must confess I almost threw in the towel at that point. Once I got past that first chapter, however, there was a noticeable difference in the flow and readability of the book. Although Viesturs never intended to split the book into the two parts described above, he did intend to split it in another way. The book’s chapters alternate between his own personal experience with the mountain, and an historical overview of climbing on Everest. Viesturs discusses some of the early British attempts on the mountain, including George Mallory’s three expeditions. Subsequent chapters provide overviews of Edmund Hillary’s first summit, Reinhold Messner’s first Everest summit without bottled oxygen, the fatal debacle of 1996, as well as the first American summit in 1963, which included the daring attempt by Tom Hornbein and Willi Unsoeld to scale the unclimbed West Ridge. Viesturs also discusses the highly controversial Chinese expedition of 1960 when one climber purportedly took his boots and socks off in order to gain traction up the Second Step - only a couple hundred feet below the 29,035-foot summit! Viesturs also lays out his own personal history on the mountain, having made 11 attempts, and reaching the summit on 7 of those occasions. He provides insights into his first climbs as a guide, his inclusion in the 1990 international Peace Climb, his role in a couple of film making expeditions on Everest, as well as the compelling story of how his climbing buddy almost died as a result of a mucus plug. Although the vast majority of the book was an interesting look into the history of the world’s highest mountain, there were a couple of occasions where Viesturs left his readers hanging. For example, in one case he mentions the “mysterious” death of Chantal Mauduit while she was in her tent at 21,500 feet on Dhaulagiri in 1998, but he provides no other details on why this was a mystery. In 1997 Ed climbed Everest as part of a research team to find out what happens to the minds and bodies of climbers at extreme altitudes. However, he didn’t mention any of the scientific findings from this project. I was also baffled by a passage regarding the 1960 Chinese expedition. Although the evidence is pretty overwhelming that the Chinese lied about their first summit, Everest historian Walt Unsworth still concluded that the Chinese story may have been factual. Viesturs states that he’s puzzled by this conclusion, which he absolutely should be. However, in the very next paragraph, Viesturs says, “It’s within the realm of the conceivable, as Unsworth states, that they did indeed make the first ascent of Everest from the north in 1960”. Okay, so these might be a little bit nitpicky, I’ll agree. 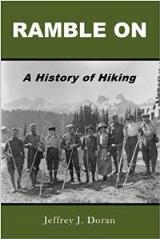 But overall The Mountain is a really good read, especially for those looking to discover a broader perspective on the history of Mt. Everest. The National Park Foundation is publishing a series of excellent videos they call the "National Parks Epic Challenge". In this video, world-class climber, skier, and mountaineer Jimmy Chin scales Grand Teton and then skis down, showing why he is one of the most skilled and fearless adventurers on the planet. Jimmy has circled the globe as an elite athlete, explorer, photographer and filmmaker, but his home is in Jackson Hole, Wyoming, near the stunningly beautiful Grand Teton National Park. The majestic Teton Range is ideal for rock climbers and ski mountaineers, and the park protects a diverse array of wildlife, including herds of buffalo and elk. Jimmy talks about visiting the National Parks as a child, and how he felt when he first saw the Tetons at age 18. He is one of the few people in the world to have climbed and skied Mount Everest from the summit. Jimmy Chin in Grand Teton: National Parks Epic Challenge from National Park Foundation on Vimeo. Great Smoky Mountains National Park fire management officials are planning two 200-acre prescribed burns in the Canadian Top unit adjacent to Cataloochee Valley in North Carolina. Weather permitting, burn operations could begin as early as Monday, October 28th, and may continue intermittently through early November. The two burn units are located on Bald Top adjacent to Mathews Branch near the Cataloochee Ranger Station. The units are part of the larger Canadian Top multi-year prescribed fire project where fire managers have been conducting a series of low-intensity, controlled burns to restore the composition and open structure of the oak woodlands that occur on upper slopes and ridges within the site. These fire and drought-tolerant natural communities are important to wildlife and overall ecosystem health which are in decline throughout the Southern Appalachian region. Roads and trails will remain open to the public throughout the burn operations, although Little Cataloochee Trail may be temporarily closed if fire activity warrants. Visitors should expect to see smoke in the area. 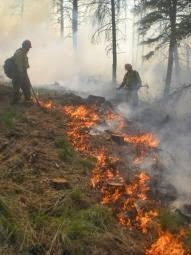 The burn operations will be conducted by park staff and are being funded by the Rocky Mountain Elk Foundation. For more information on the use of prescribed burns in Great Smoky Mountains NP, visit our website at www.nps.gov/grsm/naturescience/fire-regime. Regular readers of this blog are likely aware that Kathy and I spent several weeks traveling to various national and state parks across the west coast last month. As a result of this trip, as well as a similar trip we took across the southwest last year, we’ve decided to launch a new hiking website. The new site encompasses all of the trails we’ve hiked during those two trips, as well as many of the hikes we’ve done throughout the Rocky Mountain states over the last several years. This new website includes a wide range of hikes from places like Yosemite, Mt. Rainier, Zion, Bryce, Arches, Grand Canyon, and many of the other parks across the west. It can be used as a tool to help you plan which trails you might like to tackle on an upcoming trip, or as a way of discovering new destinations for a trip down the road. Please feel free to provide any feedback that we could possibly use to improve the website. Okay, this just might be the most hair-raising bike video I've ever seen. Speeding down the narrow sandstone ridge is pretty scary as it is, but when Diamondback athlete Kelly McGarry does a 72-foot-long back flip over a canyon - WOW!!! This run earned McGarry the People’s Choice Award and a 2nd place finish at the Red Bull Rampage 2013 in Virgin, Utah earlier this month. • An investigation was begun into a report from local police that people had been contacted by a police impersonator at two different locations on the parkway. • A 76-year-old woman took a five foot fall on the Green Stone Trail, suffering injuries that left her paralyzed from the chest down. She remains in a hospital on a ventilator. • Rangers came upon a car parked along the road with several varieties of mushrooms on its front seat. When the owner returned, the rangers found that he had another six pounds of mushrooms in his possession. Investigation and a consent search of the vehicle led to the discovery of records for $22,766 in sales going back to April and a contact list for restaurants and other buyers. Records also showed that the man had sold over a thousand pounds of various mushrooms (chicken of the woods, hen of the woods, lobster, oyster, morel and chanterelle) and hundreds of pounds of ramps, which he admitted were collected on NPS, state and private lands. Charges against him are pending. • A ranger served papers on a man who hit a pedestrian and two dogs with his motorcycle while drunk (.19 BAC) and speeding. • Three people were injured and taken to local hospital following a head-on collision in heavy fog at Reid’s Gap. Rangers also dealt with several illegal camping incidents, auto and motorcycle crashes, drug and poaching arrests, and an illegal group bike ride. With the onset of winter brings shorter days, colder weather and reduced visitor use. Some facilities within the Big South Fork National River and Recreation Area will close for the winter or observe reduced hours and operations. "Closing some under-utilized facilities will help save energy and personnel time that otherwise would have to be used to maintain those facilities through the winter months. Our goal is to accommodate visitor needs while saving as much taxpayer money as possible," said Superintendent Niki Stephanie Nicholas. The Bandy Creek Visitor Center in the Big South Fork will observe reduced hours of operation for the late fall and winter seasons. The Bandy Creek Visitor Center will be open from 9:00 a.m. until 5:00 p.m. Eastern Time each day beginning Sunday, November 3, 2013. The Visitor Center will be open every day except for Christmas Day, December 25. The park is open for use every day of the year. The Blue Heron Bookstore and Interpretive Contact Station will be closed beginning November 1. The Blue Heron Mining Camp is open for visits throughout the year whenever road conditions allow safe access. The Bandy Creek and Blue Heron campgrounds will be open on a first-come, first-served basis beginning Friday, November 1. The Bandy Creek Group Camp will close immediately after the Veterans Day weekend. All other campsites will be available on a first-come, first-served basis until Monday, December 2, at which time Bandy Creek Campground Loops A, B, and C, and the Blue Heron Campground will close for the winter. Bandy Creek Loop D and Alum Ford Campground are open throughout the year. 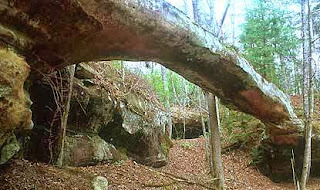 Days may be shorter and the weather cooler, but the Big South Fork has a great deal to offer during the winter months. To find out how you may continue to enjoy the Big South Fork in the coming months, please call the Bandy Creek Visitor Center at (423) 286-7275. The Obed Wild and Scenic River has announced two programs that will take place on Saturday, November 2nd. The first will allow you to bring any questions you have and join National Park Service rangers for a free cup of coffee at Lilly Bridge from 8:30 a.m. to 10:30 a.m. (EDT). Then, meet at Lilly Bridge at 11 a.m. (EDT) for their Climb with a Ranger program. If you have ever wanted to try the sport of rock climbing but did not know where to begin, let park rangers help eliminate some of the uncertainty for you. The park will provide all of the gear. All that you need to bring is drinking water, sturdy footwear, a willingness to try new things and a can-do attitude. Depending on participant interests and ability levels, participants will travel to one of several different climbing areas around the park. Participants can expect to be back to their vehicles by approximately 3 p.m. (EDT). Would be rock climbers of all ages are encouraged to attend. These programs will be held regardless of weather conditions. No reservations are necessary for either of these free events. For more information regarding the two events, please contact the Obed Wild and Scenic River at 423-346-6294. November Classic Hikes of the Smokies: Who was the Boogerman? Update: See comment below from Brent McDaniel of the Friends of the Smokies. November 19: Who was the Boogerman? Labels: Caldwell Fork Trail, Classic Hikes of the Smokies, Who was the Boogerman? With the Great Smoky Mountains National Park opening up tomorrow, it's time to show solidarity with park employees and park partners! The Great Smoky Mountains Association and Friends of the Smokies are offering a joint fall color hike along Chasteen Creek tomorrow to celebrate the reopening of Great Smoky Mountains National Park. The hike will travel along the Bradley Fork and Chasteen Creek Trails to marvel at the changing leaves, late fall flowers, and a tumbling waterfall. On Thursday, October 17th hiking expert, author of several outdoor publications, GSMA board member and Friend of the Smokies volunteer Danny Bernstein will lead this 7-mile out and back hike. The hike is moderate in difficulty with a total ascent of 1,200 feet and partially follows an old roadbed beside the creek. After the downhill return, participants can get an early jump on their holiday shopping at the Oconaluftee Visitor Center. Please plan to visit the store. The hike will leave the Bradley Fork Trailhead near Smokemont at 9:45 am. 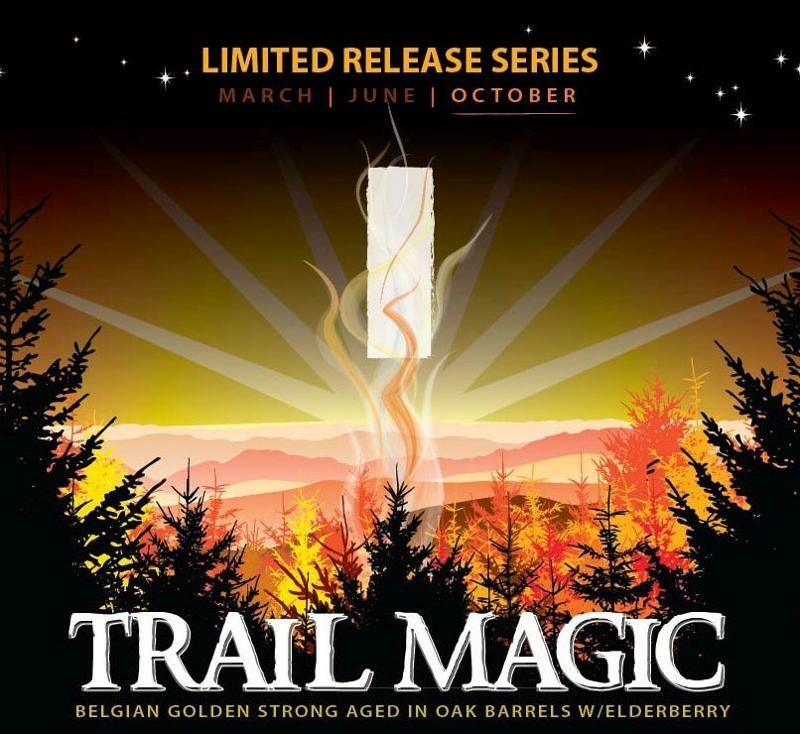 The next edition of Nantahala Brewing Company's Trail Magic Ale will debut at a release party this Friday, with proceeds of bottle sales to benefit the Appalachian Trail Ridgerunner Program. This Friday the Nantahala Brewing Company will be tapping the first keg of the 6th installment of their Trail Magic Ale series. Tapping will commence at 6 p.m. exclusively at their Tap Room in Bryson City. Also, for the first time ever, NBC will begin selling bottles on Friday night at 7 p.m. This Trail Magic Ale release is a rich, red Rye Wine. Along with the liberal use of Rye malt, locally malted Pale Malt, provided by Riverbend Malt House, was used to give this 10.2% ABV monster of a brew some local roots and the colorful spirit of a Great Smoky Mountain Fall. A portion of proceeds of the bottle sales will be donated to the Appalachian Trail Ridgerunner Program via the Friends of the Smokies organization. Each year the Park recruits a series of individuals who provide a presence on the Appalachian Trail from March through October. They provide visitor information, do trail maintenance, pack out litter, keep up composting privies, report on the condition of the trail and the shelters, report emergencies and advise hikers on food storage and other regulations, and relay real-time information regarding possible problem bears. Their presence on the AT for over 15 years has made a huge difference in the Park’s ability to manage the AT. Tennessee Gov. Bill Haslam today announced an agreement to reopen the Great Smoky Mountains National Park (GSMNP) with all normal operations from Wednesday, October 16 through Sunday, October 20. The national park costs $60,100 to operate per day, according to the National Park Service (NPS). Sevier County has sent $300,500 to NPS to open the park for five days. The state is paying 80 percent of the cost in the form of a $240,400 tourism grant to Sevier County with Sevier and Blount counties funding the remaining $60,100 to fully fund operation of the park for five days. An NPS report found that the 9.6 million visitors to GSMNP during 2012 had an economic impact of $818 million in communities surrounding the park in Tennessee and North Carolina. Haslam has worked with North Carolina Gov. Pat McCrory, who has expressed a willingness to assist financially with the reopening. The park will open at 12 a.m. EDT on Wednesday, October 16 and stay open until 11:59 p.m. EDT on Sunday, October 20 if the shutdown is not ended in that time. An interesting weather phenomenon called a mountain wave, formed a beautiful standing lenticular cloud for about an hour over Clingmans Dome. Lenticular Clouds are quite common in the western mountainous and desert regions of the US, but occasionally form on some of the highest peaks in the Smokies, like Clingmans Dome and Mount LeConte. Unfortunately, with the shutdown we will not be able to collect the wind speed information, but it was probably in the 50 to 60 mile an hour range. Lentinculars form when dry stable air crosses a mountain barrier. Dry air flowing up the windward side of the mountain is smooth, but built in layers. The mountain barrier will set up waves in these layers, and these waves will remain within a stationary area, while the wind blows rapidly through them. Standing lenticular clouds form in the crests of the mountain wave where the rising updraft of the wave has cooled and moisture has condensed. The clouds dissipate in the downdrafts of the wave where the air has descended and warmed to the point where the moisture evaporates and is no longer visible. This is why the clouds are called "standing". They stay in the crests of the mountain waves and do not move with the wind flow. This particular lenticular had extreme turbulance and a strong rotating rotor cloud at its base. Being on the Dome this morning would have been like being in a mild chilly wind tunnel. Check out this heavyweight bout between two bull elk. Would you say the photographer got just a little too close? "We may not be allowed into the Parks, but that DOES NOT make it right. Those lands are ours, and if the best we can do is spread awareness of how devastating this shutdown is on local families, then so be it! Let's bring this story to the Nations attention." That quote is from Jeremiah Spelas, an artist who lives in Gatlinburg. 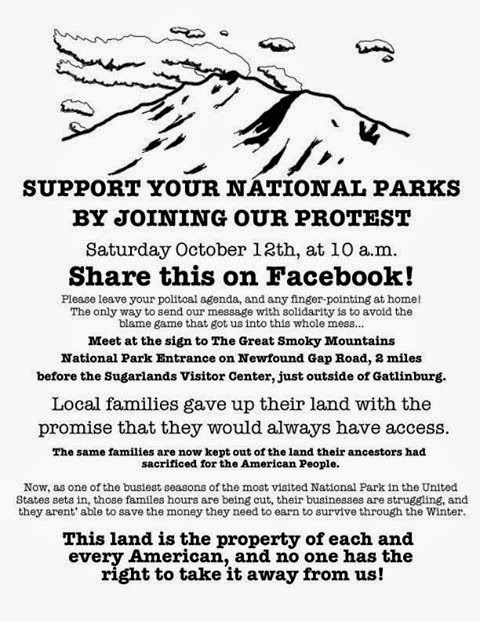 Over the last few days he has been organizing a protest of the closure of Great Smoky Mountains National Park, which will take place this Saturday morning at the entrance to the park near Gatlinburg. 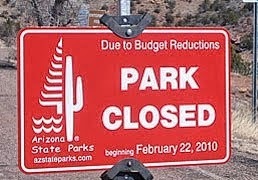 As the 10th day of the government shutdown begins this morning, more than seven million Americans have been kept out of national parks and $750 million in visitor spending has already been lost, with huge repercussions for the economies of gateway communities and entire states that depend on national park tourism, according to a report published by the Coalition of National Park Service Retirees (CNPSR). • 715,000 visitors lost daily (based on October 2012 national park attendance numbers). • $76 million in lost visitor spending per day. • Acadia National Park (Maine) – 68,493 lost visitors in first 10 days, $5,263,013 lost visitor dollars in first 10 days, and 3331 total jobs at stake, including 3147 local/non-NPS jobs. • Badlands National Park (South Dakota) – 26,767 lost visitors in first 10 days, $656,986 lost visitor dollars in first 10 days, and 475 total jobs at stake, including 375 local/non-NPS jobs. • Boston National Historic Park (Massachusetts) – 54,794 lost visitors in first 10 days, $2,032,876 lost visitor dollars in first 10 days, and 1019 total jobs at stake, including 904 non-NPS jobs. • Cuyahoga Valley National Park (Ohio) – 68,219 lost visitors in first 10 days, $1,545,205 lost visitor dollars in first 10 days, and 819 total jobs at stake, including 599 local/non-NPS jobs. • Everglades National Park (Florida) – 25,083 lost visitors in first 10 days, $3,857,534 lost visitor dollars in first 10 days, and 2364 total jobs at stake, including 1951 local/non-NPS jobs. • Gettysburg National Military Park (Pennsylvania) – 27,397 lost visitors in first 10 days, $1,796,712 lost visitor dollars in first 10 days, and 1141 total jobs at stake, including 1051 local/non-NPS jobs. • Glacier National Park (Montana) – 60,273 lost visitors in first 10 days, $3,076,712 lost visitor dollars in first 10 days, and 1994 total jobs at stake, including 1632 local/non-NPS jobs. • Grand Canyon National Park (Arizona) – 120,000 lost visitors in first 10 days, $11,750,684 lost visitor dollars in first 10 days, and 6825 total jobs at stake, including 6167 local/non-NPS jobs. • Great Smoky Mountains National Park (North Carolina and Tennessee) – 257,534 lost visitors in first 10 days, $23,123,287 lost visitor dollars in first 10 days, and 11,766 total jobs at stake, including 11,367 local/non-NPS jobs. • Olympic National Park (Washington) – 77,808 lost visitors in first 10 days, $2,912,328 lost visitor dollars in first 10 days, and 1673 total jobs at stake, including 1395 local/non-NPS jobs. • Rocky Mountain National Park (Colorado) – 80,821 lost visitors in first 10 days, $4,821,917 lost visitor dollars in first 10 days, and 3033 total jobs at stake, including 2641 local/non-NPS jobs. • Yellowstone National Park (Wyoming, Montana, and Idaho) – 98,630 lost visitors in first 10 days, $9,452,054 lost visitor dollars in first 10 days, and 5572 total jobs at stake, including 4481 local/non-NPS jobs. • Yosemite National Park (California) – 106,849 lost visitors in first 10 days, $10,021,917 lost visitor dollars in first 10 days, and 5607 total jobs at stake, including 4602 local/non-NPS jobs. • Zion National Park (Utah) – 72,876 lost visitors in first 10 days, $3,495,890 lost visitor dollars in first 10 days, and 2401 total jobs at stake, including 2136 local/non-NPS jobs. Visitation, economic impacts, and job numbers for the 12 parks are drawn from Headwaters Economics, "Land and Communities, National Parks Service Units, Economic Impacts of Visitation and Expenditures". Topline numbers for NPS daily visitation provided by Coalition of National Park Service Retirees using National Park Service data. We're now more than a week into the government shutdown, and Bryson City would like to make one message clear: 'Shut down? Shut Up!' The real message from this light-hearted video is that there's still plenty to see and do in the Great Smoky Mountains. Labels: Bryson City, Shut down? Shut Up! Great Smoky Mountains National Park remains closed following the shutdown of the federal government. 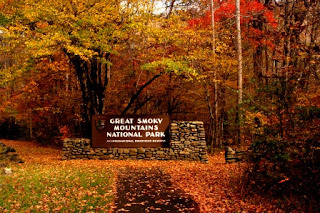 The Smokies, along with all 401 National Park Service units, closed visitor facilities on October 1, 2013. All visitor centers, picnic areas, campgrounds, trails, and roads are closed except for Newfound Gap Road (Hwy 441), the Spur, and the Gatlinburg Bypass. In the Park, 279 employees were placed on furlough primarily leaving only a few dozen rangers on duty to protect property and resources throughout the park, as well as the public traveling the Spur and Newfound Gap Road. While most overlooks and pull-offs along the roadway are open to accommodate safe traffic flow over the mountains, facilities and trails remain closed. Park rangers are dependent on personnel, now furloughed, trained to support search and rescue operations when hikers become lost, injured, or ill in the backcountry. Such occurrences are normally quite frequent at this time of the year and each one typically requires up to a dozen or more park staff to resolve. For information on hiking in areas surrounding the park, please click here. What's open and Where can I hike? * First of all, it should be noted that Newfound Gap Road is definitely open through the Smokies (from Gatlinburg to Cherokee). Also, as of 10/6/13, there are now confirmed reports that the barricades have been removed, and the bathrooms are open at Newfound Gap. Additionally, the cones and barricades have been removed from all the overlooks, as well as most of the trailheads, with the exception of the Chimney Tops and Alum Caves trailheads. * It appears that most of North Carolina is open for hiking. This includes the Blue Ridge Parkway, all of the NC State Parks, as well as the Pisgah and Nantahala National Forests. 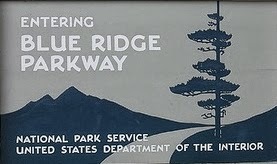 However, you should note that none of the facilities on the BRP or in the national forests are open. * All of the State Parks in Tennessee are open as well. * Hiking in Cherokee National Forest is open. * Grassy Ridge Bald on Roan Mountain is an absolutely outstanding hike. * Big Bald Mountain along the Appalachian Trail on the Tennesssee/North Carolina border near Erwin, TN is another great hike that offers outstanding views. * The section of Appalachian Trail, from Beauty Spot to Unaka Mountain (also near Erwin), offers more big views from grassy balds. * The Art Loeb Trail in the Shining Rock Wilderness is an excellent choice for both hikers and backpackers. As is Cold Mountain. * Linville Gorge is another great location for hiking and backpacking. 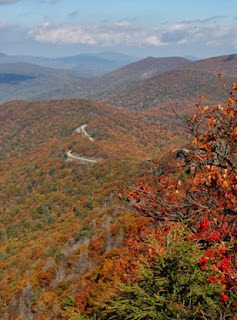 * Max Patch heading towards Asheville on I-40 is an excellent choice for a relatively short, easy hike with great views. * Both Mt. Mitchell and Chimney Rock State Parks in NC have great hiking opportunities. There are some additional options both here and here. * Frozen Head State Park is 65 miles northwest of the Smoky Mountains in the beautiful Cumberland Mountains. There are more than 80 miles of trails that visit waterfalls, giant sandstone rock formations and bluffs. * Mt. Rogers in Virginia is one of my all-time favorite hikes. If anyone has any other options during the closure, please feel free to leave a comment. Most facilities in the national forests in North Carolina are closed due to a lapse in federal government funding. The closure affects offices, many campgrounds, day use areas, bathrooms, shooting ranges, off-highway vehicle trails, fee areas and other facilities managed by U.S. Forest Service in the Nantahala, Pisgah, Uwharrie, and Croatan National Forests. The following campgrounds, operated by concessionaires, will remain open. Pisgah National Forest: Black Mountain Campground; Briar Bottom Group Camp; Carolina Hemlocks Recreation; Cove Creek Campground; Davidson River Campground; Kimsey Creek Group Campground; Kuykendall Group Campground; Lake Powhatan Recreation Area; North Mills River Recreation Area; Sunburst Recreation Area; and White Pines Group Campground. Nantahala National Forest: Cliffside Day Use Area; Van Hook Glade Campground; and Standing Indian/Kimsey Creek/Hurricane Creek Recreation Complex. 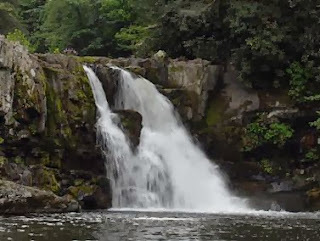 Visitors may still hike, fish and use undeveloped recreational areas of the national forests during the closure period. No restrooms or trash collection will be available at trailheads, and visitors are encouraged to practice Leave No Trace ethics. 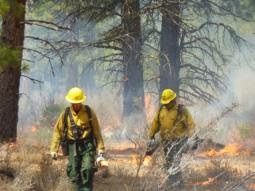 Only essential Forest Service employees, such as firefighters, will continue working during the closure. All volunteer activities are cancelled. Even an afternoon hike along one of the beautiful Smoky Mountain Hiking Trails warrants carrying some small amount of supplies with you. The further you're planning to go, or the less populous the trail you choose, the more consideration that needs to be given in what you should take. Remember, you are not packing based on what you want at the moment or only what you want to do (a picnic for example) but also for what might become helpful or needed. It's better to be prepared and not need something than to need something and not have it. Some things should be carried regardless of distance. A very small day pack or fanny pack will suffice for the shortest hikes in well-traveled areas, but even a trip of an hour merits a canteen of water, a small minimal first aid kit for minor scrapes or mishaps, a whistle or similar attention getting device, and insect repellent. These assure comfort and a small amount of additional safety. • Water – two full quarts per person. Additionally, commonly available water purification tablets are a better option than risking parasites or bacteria from unpurified sources. • Flashlight – useful if anything happens that extends time past dark. It not only may allow safe travel on marked trails after dark, but will also aid in locating you by emergency crews if needed as well. • High energy snack bars - if you don't make it back before dinner as planned avoiding hunger and the extra calories to stay warm will be appreciated. • Basic First Aid kit – small bandages, an ace bandage wrap, over the counter pain reliever, anti-bacterial ointments, and butterfly closures are minimal for safety. • Rain Gear – regardless of the weather at time of departure, rain gear such as a poncho should be taken at least. • Bear Pepper Spray – this should be carried on the belt. It does no good stowed in the bottom of a pack. Ensure it meets the requirements listed on the linked page. Additional dry warm clothing is always a good idea. Small tents for emergency shelter can be found that weigh about 5 pounds. This is minimal weight to carry for the added safety provided when hiking through the wilderness. Samples of clothing and equipment can be found at Warwickshire Clothing. A back pack carrying these items will still weigh only about 15 pounds.